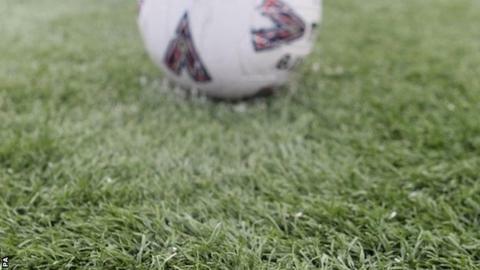 The Football Conference will allow 3G pitches in all three divisions from the start of the 2015-16 season. Earlier this year, Conference clubs voted against a plan to permit the reintroduction of artificial surfaces, but at a meeting ahead of next season it was announced plans would go ahead. "I'm delighted the Football Conference has decided to allow 3G pitches," Minister for Sport Helen Grant said. "It's fantastic that the Conference are now taking this sensible step." The Conference will now become the highest level of English league football to allow the use of artificial pitches. The news follows the announcement in March that 3G pitches will be allowed in all rounds of the FA Cup from the start of the 2014-15 season. Plastic pitches were banned from English professional football in 1995 but are more commonly used in Europe. In 2007 the England national team lost 2-1 to Russia in a European Championship qualifier on a plastic pitch in Moscow. In rugby union, Premiership side Saracens play first-team matches on the artificial pitch at Allianz Park, and rugby league team Widnes Vikings also use a 3G pitch.